The Field Control System is the device that controls when all robots competing in a match start Autonomous Mode, and it also controls switching to Driver Control Mode. 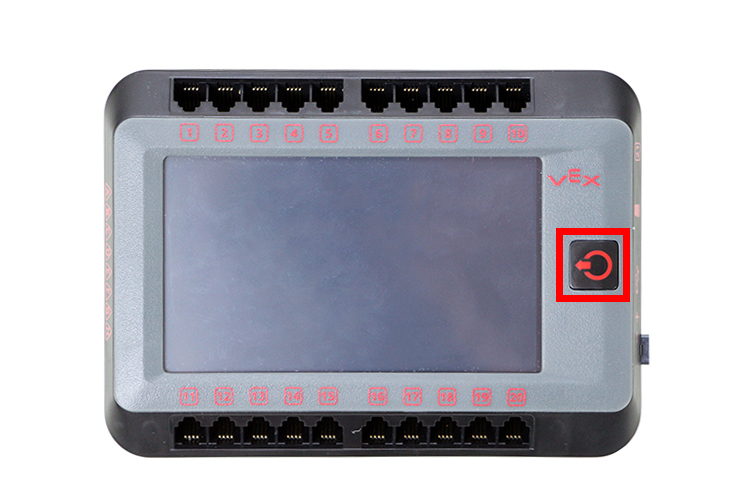 Plug the Ethernet cord from the Field Control System into the V5 Controller. Make sure that the controller and brain are both turned off when plugging in. NOTE: The Ethernet cord should already be attached to the Match Controller. If it is not, ask one of the competition staff for assistance. 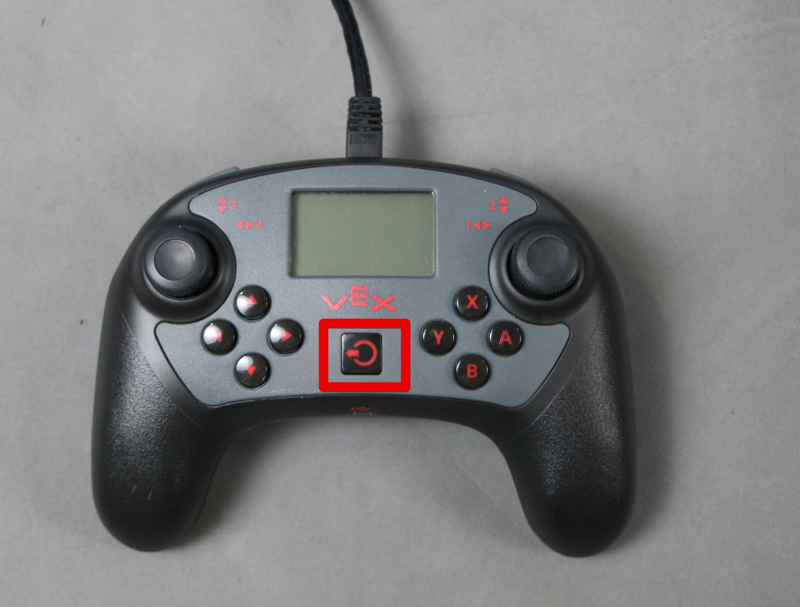 Turn on the V5 Controller by pressing the power button. Turn on the V5 Robot Brain by pressing the power button. The look of the V5 Controller screen prior to syncing with the V5 Brain. 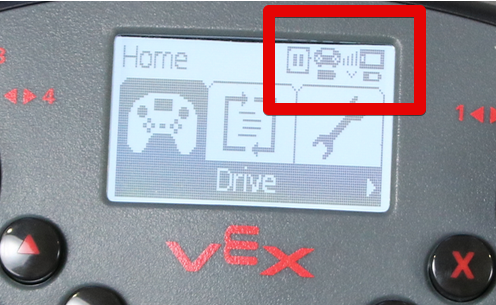 The radio signal icon will display in the top right corner of the screen while the V5 Brain and V5 Controller are connecting. 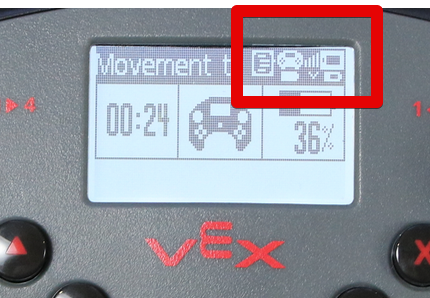 Once the V5 Brain and V5 Controller are connected, the radio signal icon will display signal strength in the top right corner of the screen. NOTE: If needed, read the How to Pair the V5 Controller to the Robot Brain article from this knowledge base. NOTE: If needed, read the How to Run a User Program through the V5 Controller article from this knowledge base. NOTE: A program can also be selected via the screen on the V5 Robot Brain. If needed, read the How to Run a User Program through the V5 Robot Brain article from this knowledge base. Try rebooting the V5 Brain and V5 Controller - Turn each device off, then power them on again. 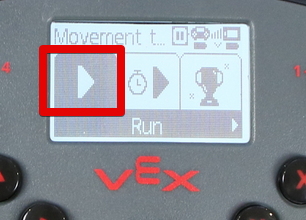 A "pause" icon will appear when the V5 system is currently in Disabled mode. A "code" icon will appear when the V5 system is currently in Autonomous mode. 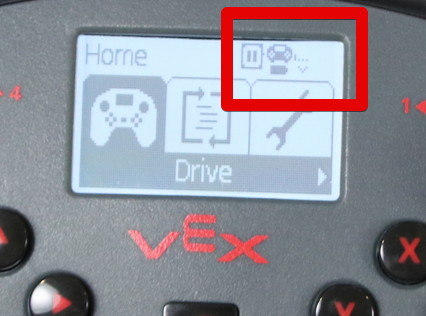 A "play" icon will appear when the V5 system is currently in Driver Control mode. 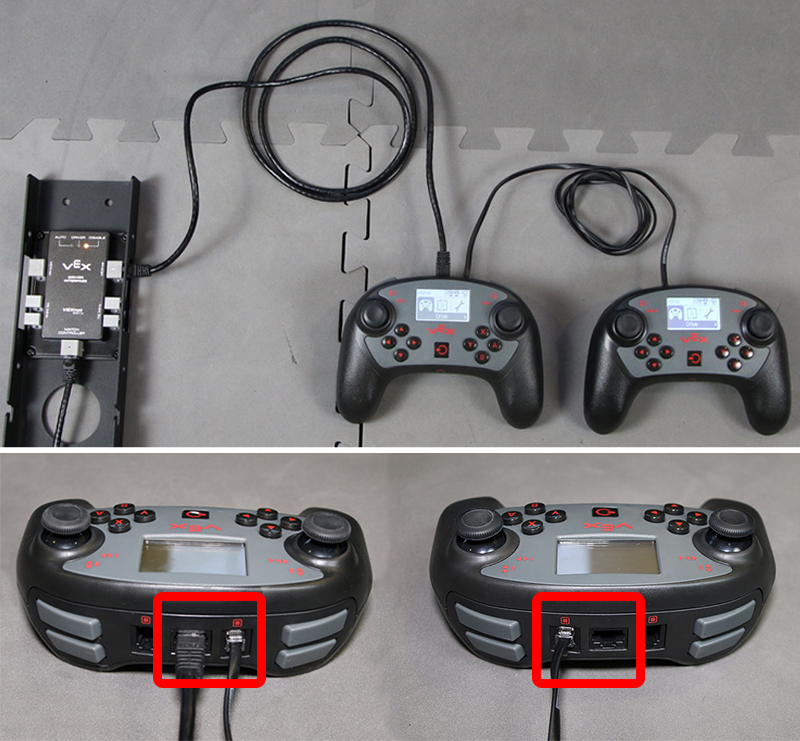 Plug the field control Ethernet cable into the primary controller (bottom photo). Plug one end of a smart cable into the primary controller (either port with the "#" icon will work). Plug the other end of the smart cable into the secondary controller (either port with the "#" icon will work). Power on the primary V5 Controller. Power on the secondary V5 Controller. Power on the V5 Brain. 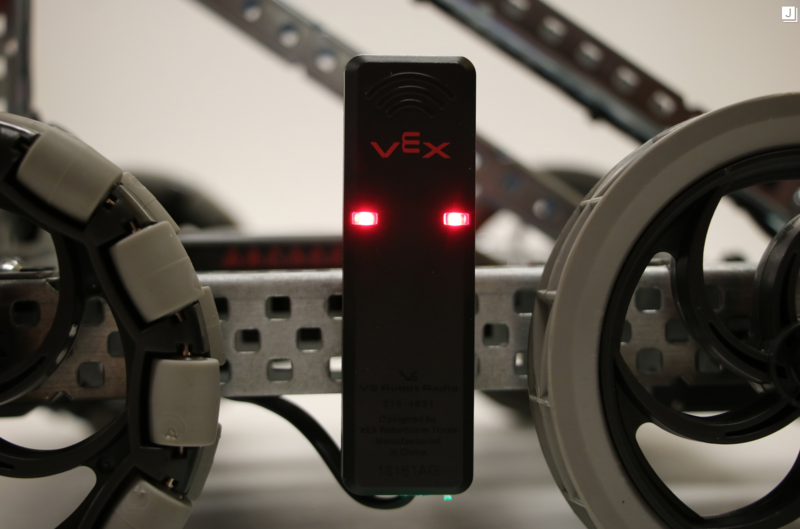 Notice the color of the LED lights on the V5 Radio to gather information about the status of your robot. 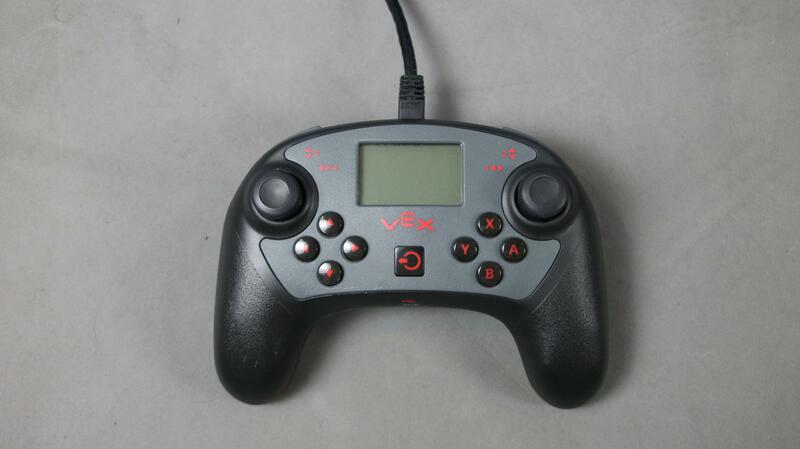 There is no radio connection between the V5 Brain and V5 Controller. An active connection between the V5 Brain and V5 Controller. 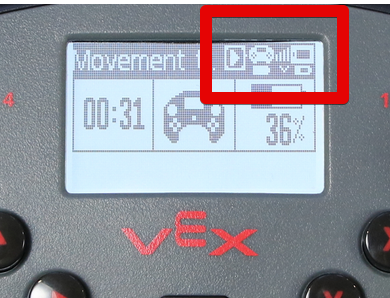 The V5 Controller is not plugged into a field control system or the V5 Brain is not running a user program. 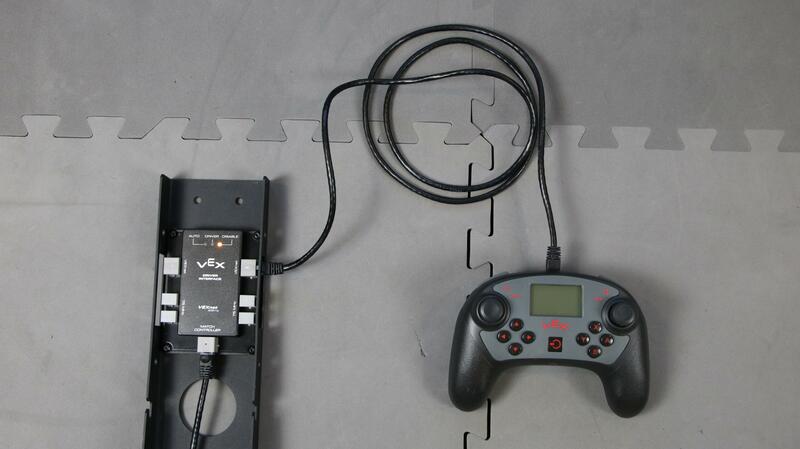 The V5 Controller is plugged into a field control system. The V5 Brain is running a user program.